Witham MP, Priti Patel, visited the Ladbrokes store in Witham on Friday to present a cheque to charity Dreams Come True [Friday 30 November 2018]. 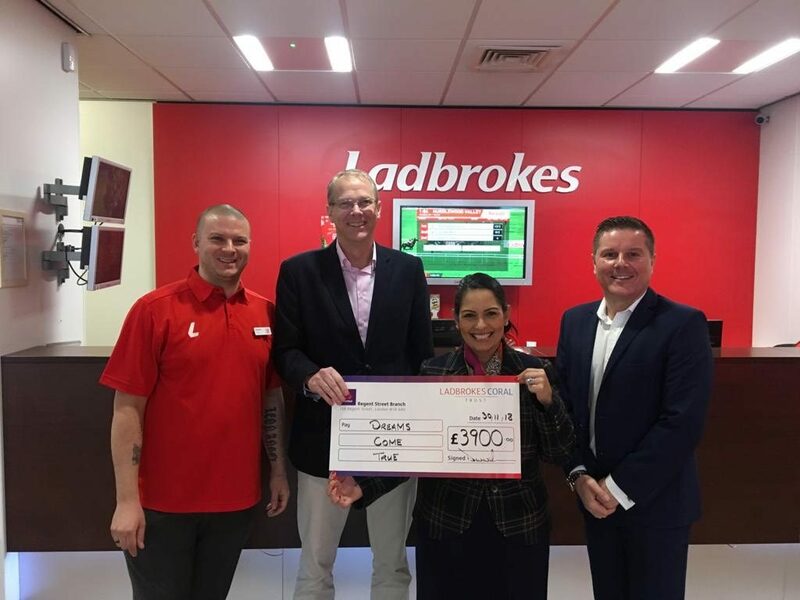 Ladbrokes raised £3,900 for Dreams Come True at their shop in Witham and Priti was delighted to present the cheque to the Chief Executive of the charity, Richard Ashton. Dreams Come True is a national children’s charity which organises unforgettable experiences for children and young people with serious and life-limiting medical conditions. “This is such a worthwhile cause and I was delighted to present a cheque to Dreams Come True on behalf of our local Ladbrokes shop.